Almost Ocean Front, just yards to the Beach. 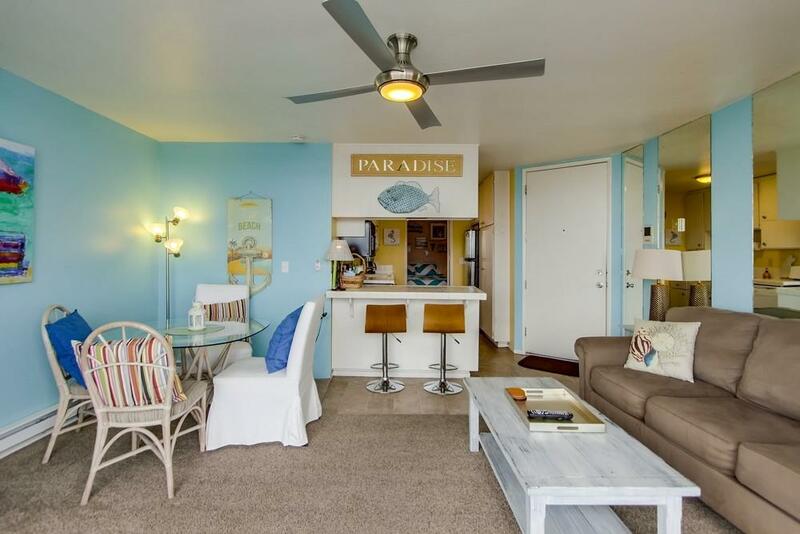 Centrally located in the heart of Mission Beach. Building allows vacation rentals. 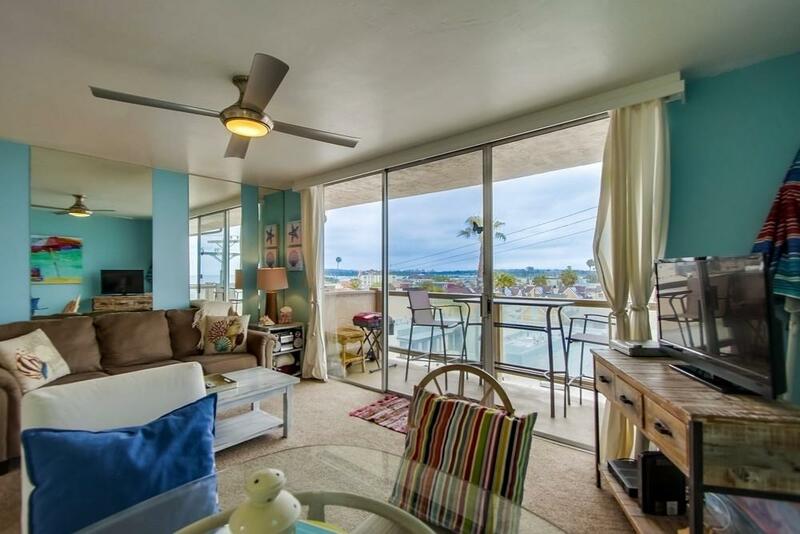 Top floor condo features nice views of the ocean, Mission Bay & downtown San Diego from your own private balcony. 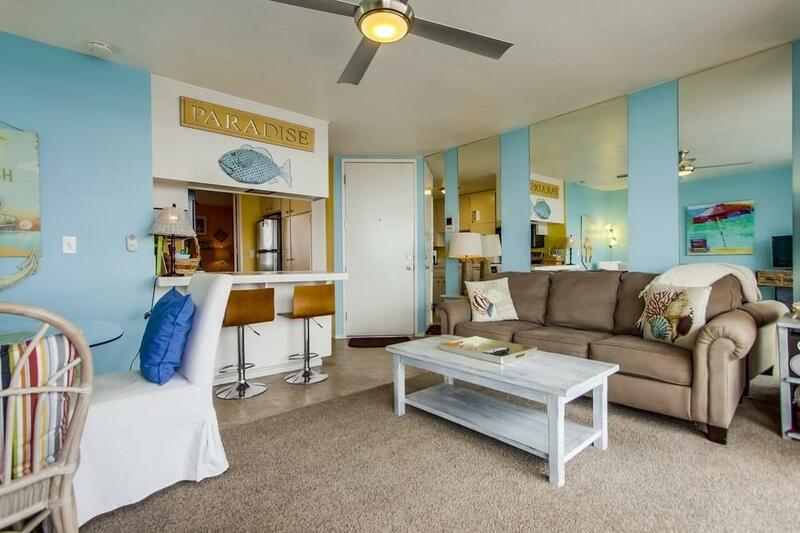 Open concept Kitchen & LR includes sliding doors that allow refreshing ocean breezes & outdoor space. Large conveniently located parking space in upper garage. 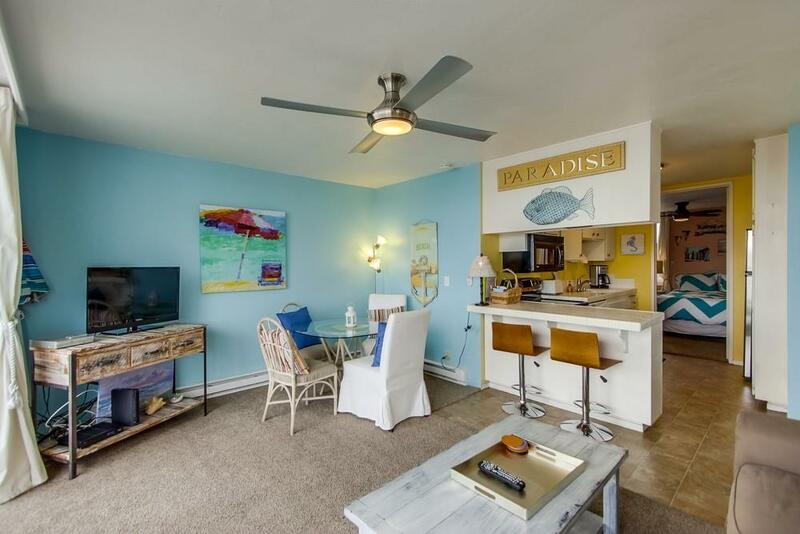 This property has a great consistent vacation rental history w/repeat renters & is sold fully furnished. Listing provided courtesy of Ascent Real Estate, Inc.. Listing information © 2019 San Diego MLS, Inc.